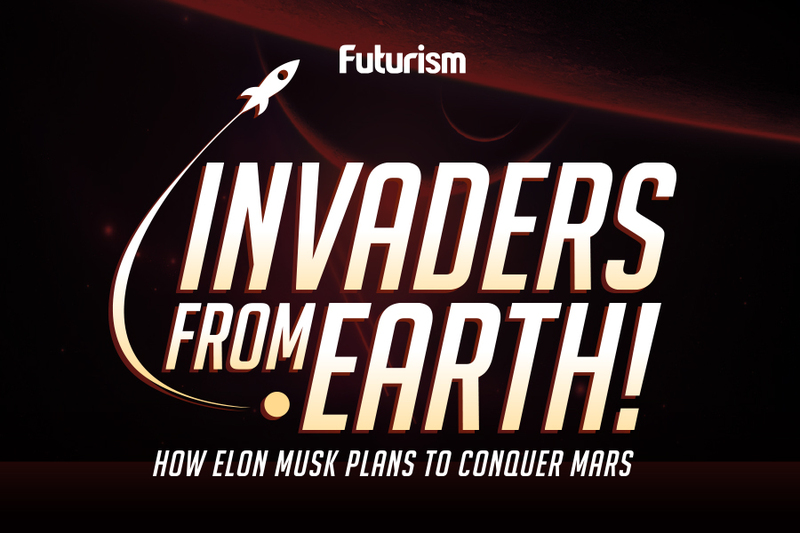 Futurism Asks: When Will Humans First Land on Mars? Our first trip to the Red Planet is likely just a few decades away. In March 2017, a different U.S. president, Donald Trump, set his own ambitious — albeit less immediate — goal for the nation’s space explorers: send a crewed mission to Mars by 2033. Just a month later, on a call with astronauts aboard the International Space Station, he moved the deadline up significantly, saying he hoped to get humans to Mars by the end of his first term (i.e., 2020) or “at worst, during [his] second term,” which would theoretically end in 2024. Trump may have been joking about the revised deadline, but the question of when humans will reach Mars is very real, and it has sparked a huge debate, both amongst Futurism’s readers and society at large. Opinions in our prediction thread asking when humans will land on Mars ran the gamut, from Softsys automation engineer Tero Luikku’s admittedly optimistic prediction of “2025” — which was also the year that got the highest percentage of votes, 27 percent — to Android developer Andrew Torr’s assertion that humans will never reach Mars because “there’s no profit in it.” Even the Futurism staff is divided, with the site’s CTO predicting a 2030 touch down and its editor-in-chief making a far more conservative estimate of 2050. Some Futurism readers, such as Keith Irvine, earned extra credit by offering unique predictions for specific organizations — he expects that China, India, or the European Space Agency (ESA) will make it to Mars by the mid-2030s, while NASA will lag behind, not landing on the Red Planet until after the mid-point of the century. Meanwhile, reader Зловещият Доктор relied on the experts to guide his prediction of 2035, claiming he pulled the date from the Mars One website and other articles. Truly, the people actually working to put humans on Mars are likely to make the most educated of guesses, but even they are in disagreement on a timeline. Elon Musk thinks his company SpaceX could potentially land a person on Mars as early as 2025, while noted astrophysicist Neil deGrasse Tyson has expressed extreme skepticism of that ambitious timeline. Researchers from global aerospace company Lockheed Martin think they could have a six-person Mars base camp in orbit around the planet with the ability to send astronauts on two-week-long surface missions by 2028. Science expert Bill Nye thinks 2035 is a realistic goal, as long as NASA funding remains steady, while Director-General of the ESA, Jan Woerner, thinks 15 years is the minimum for the technology to be ready. With so many governments and private agencies working toward the same goal, the question is no longer if we’ll reach Mars but when. Some are so optimistic that humanity will be a multi-planetary species soon (relatively speaking) that they’re looking far past the first footsteps to plan the first Martian colonies, and the youngest of us might even be around long enough to call one of them home. See all of Futurism predictions and make your own predictions here.